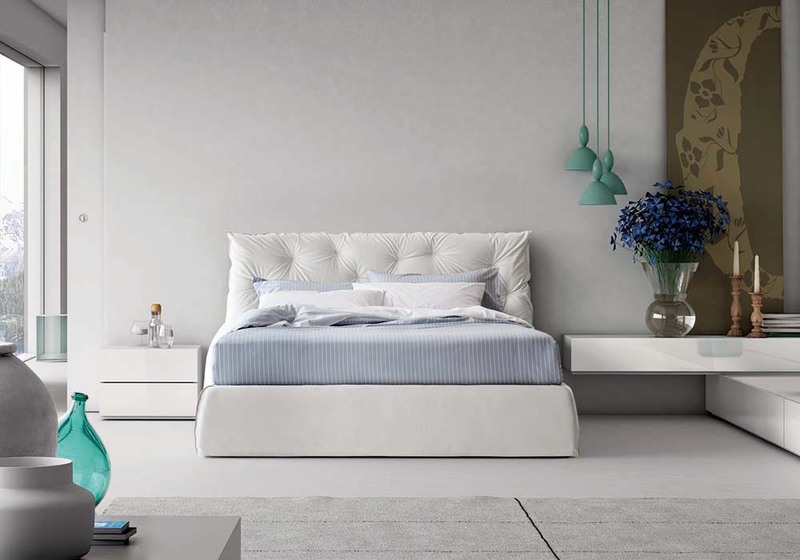 The Bombay bed, much like the city it is named after, has an impressive appearance and a bold look with slanting lines, designed to give any bedroom a strong and elegant personality. 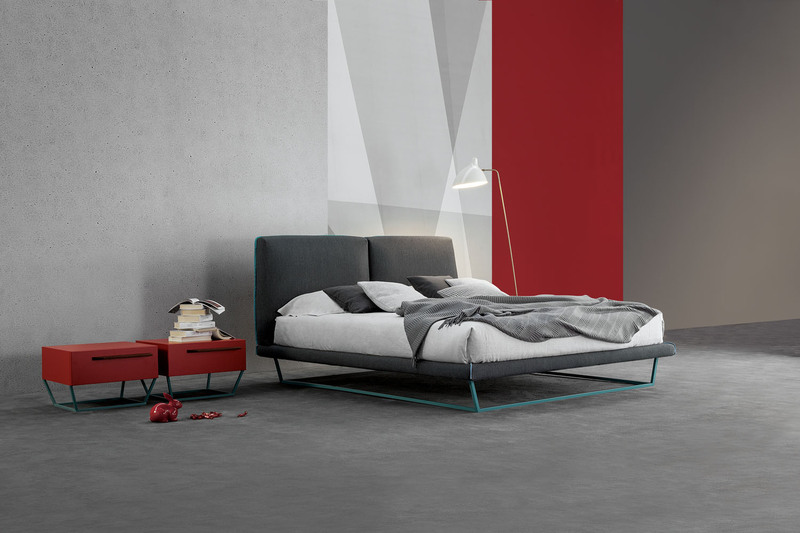 The Bombay bed, much like the city it is named after, has an impressive appearance and a bold look, designed to give any bedroom a strong and elegant personality. 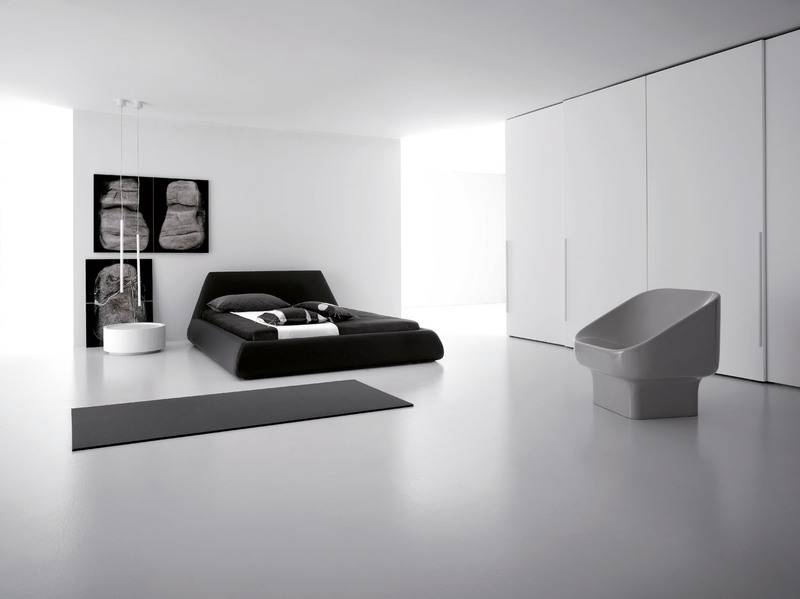 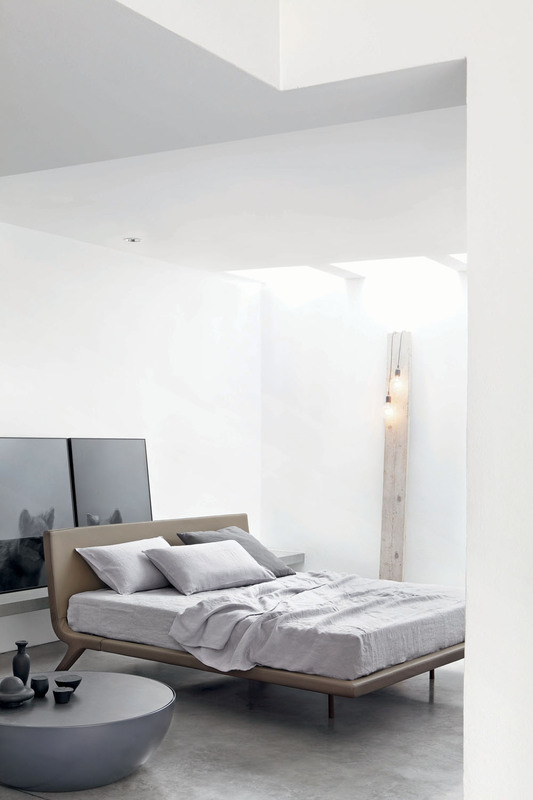 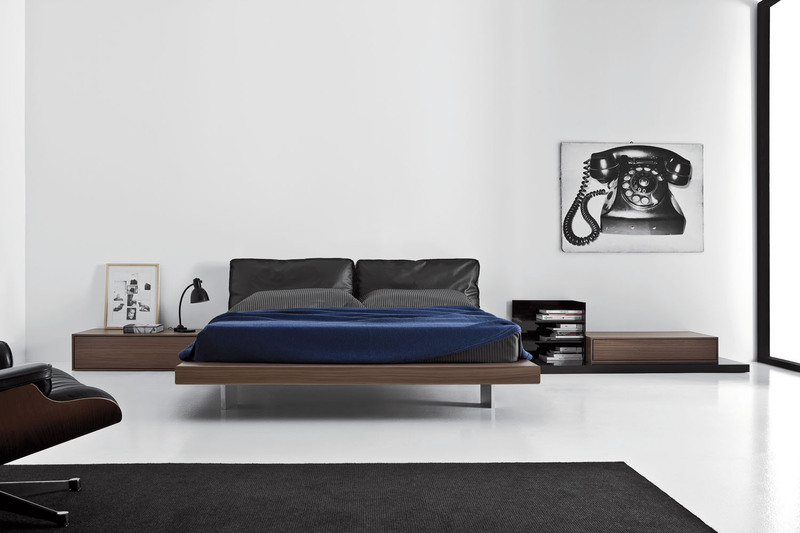 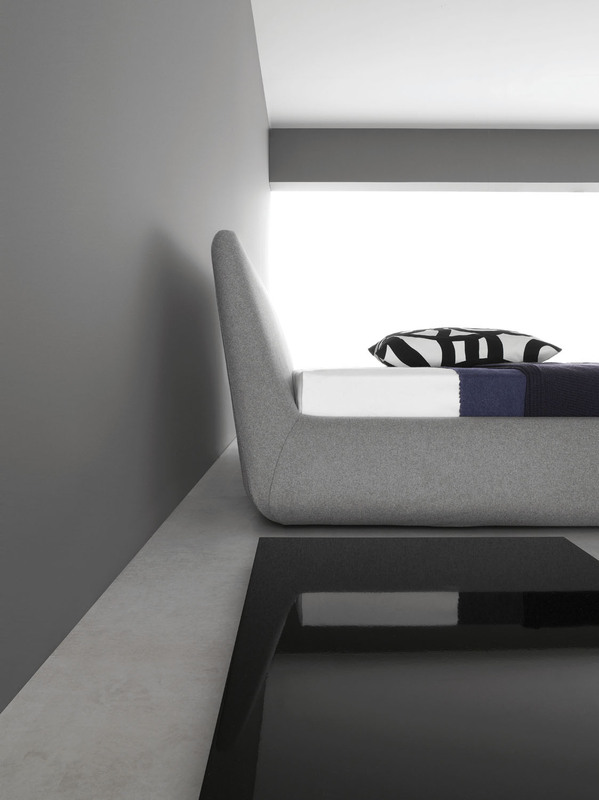 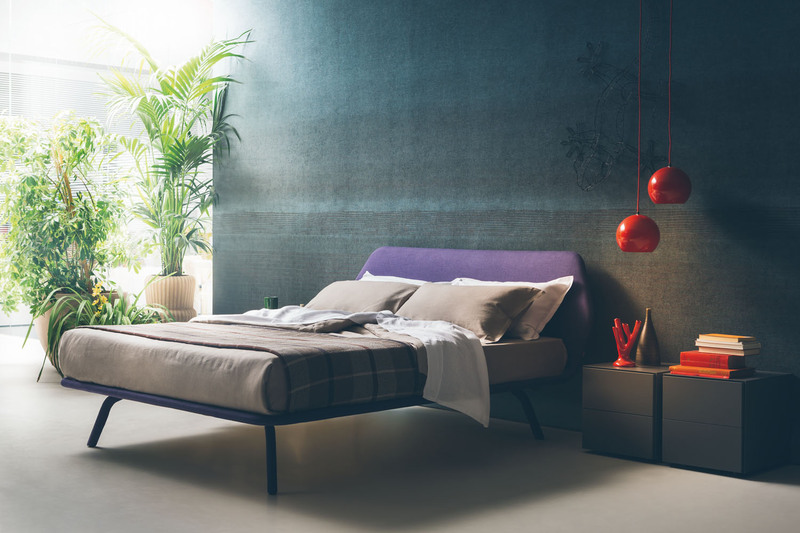 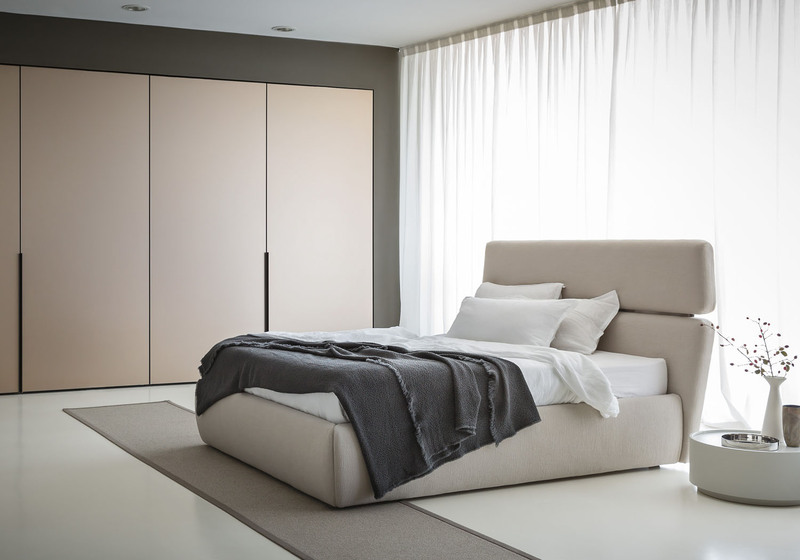 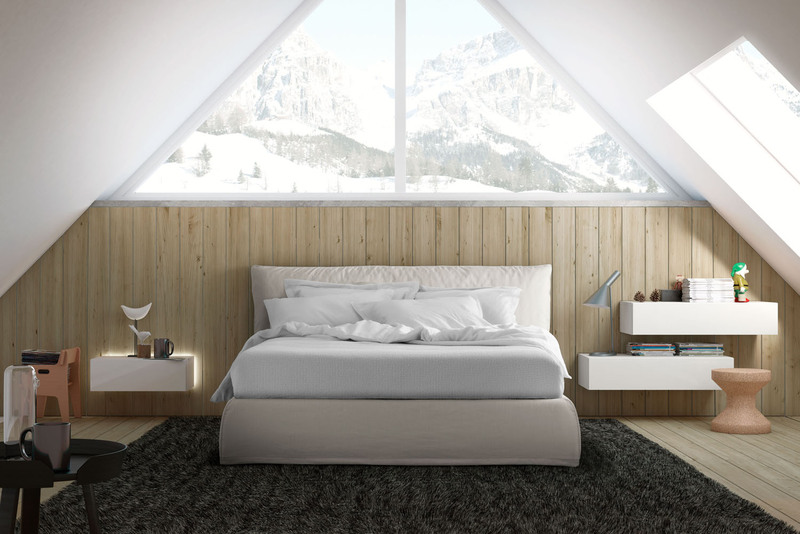 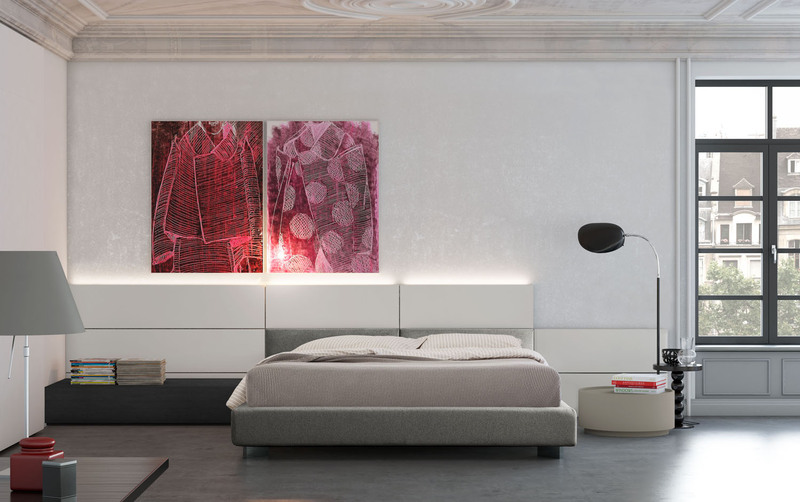 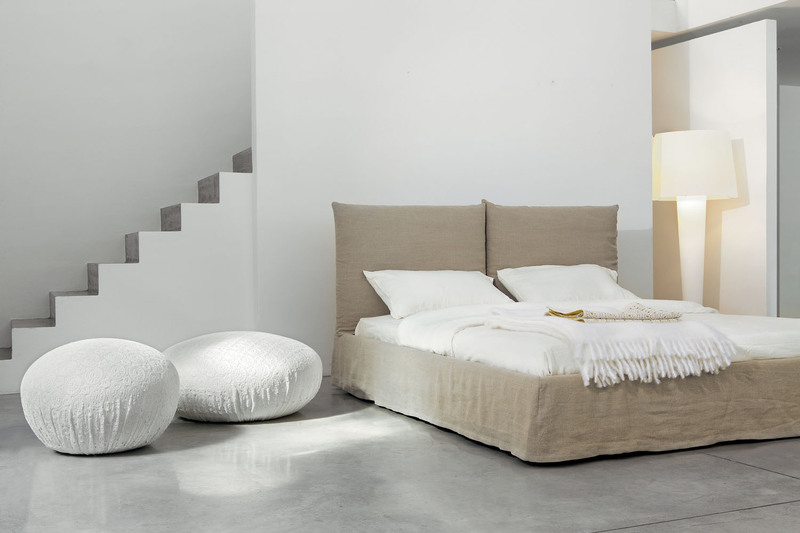 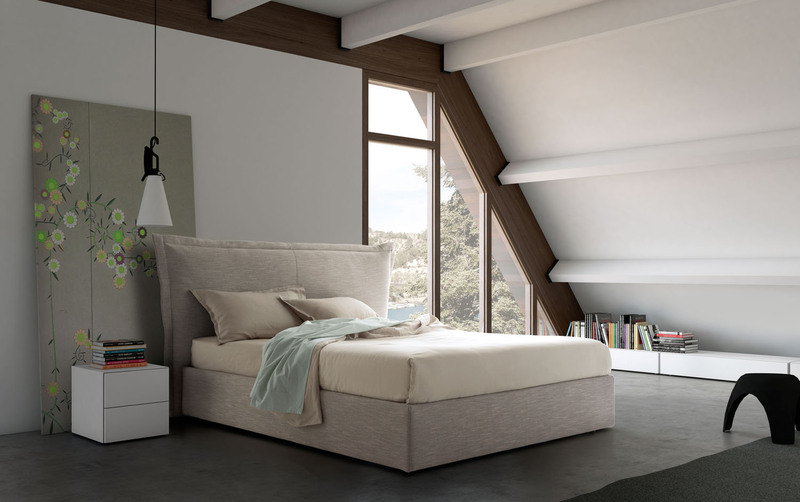 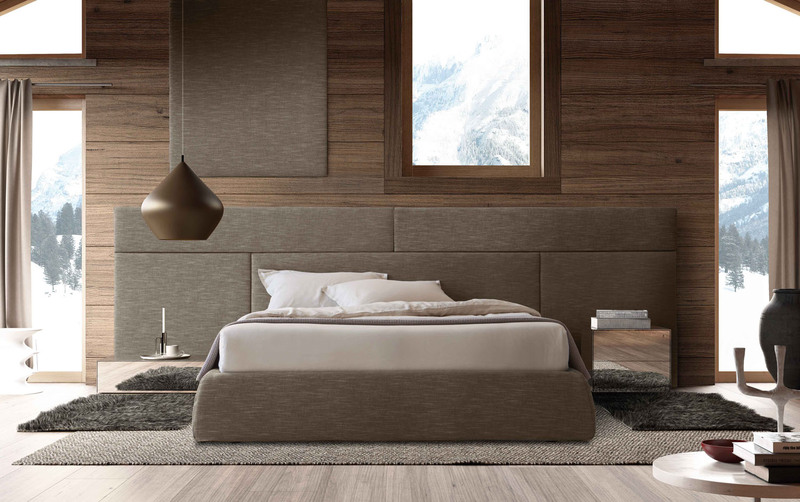 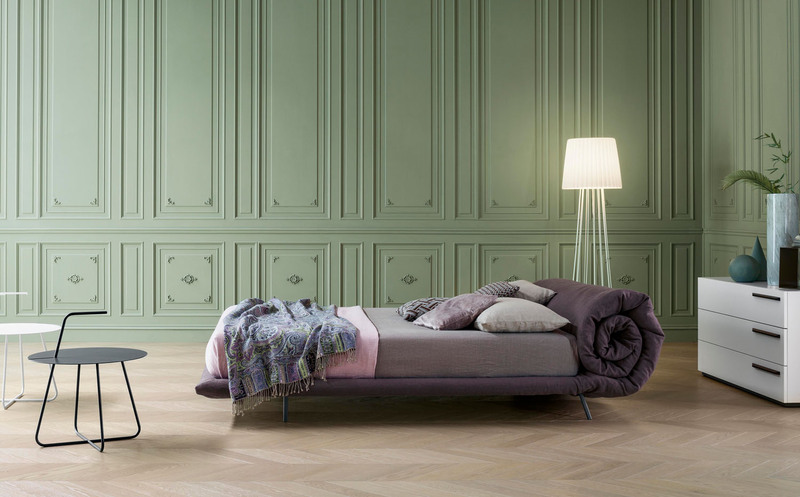 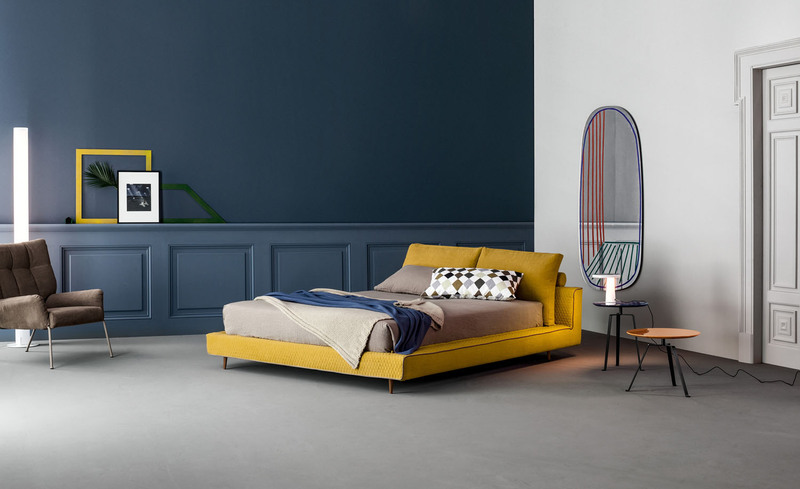 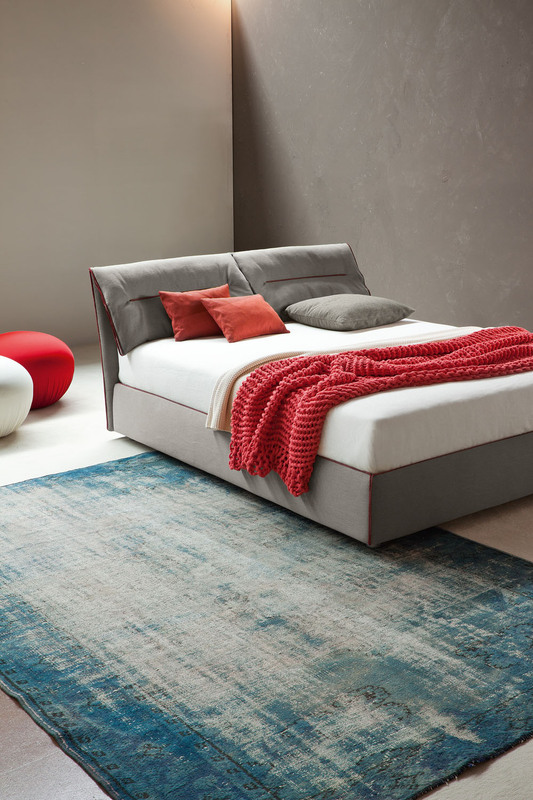 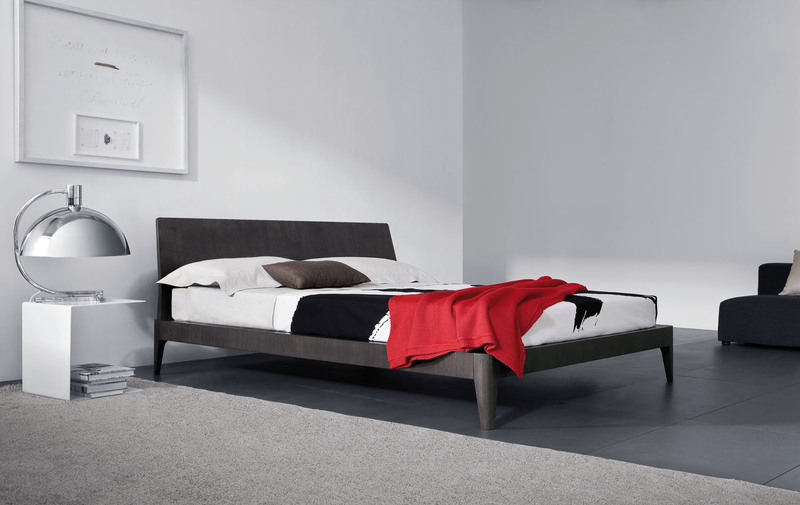 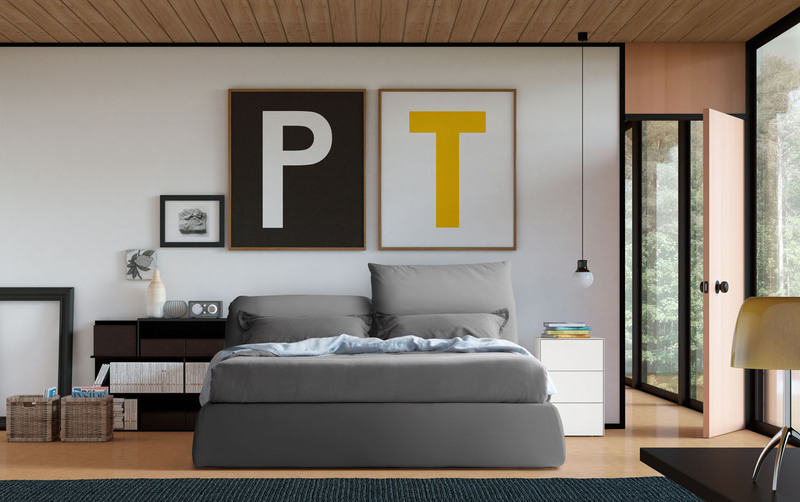 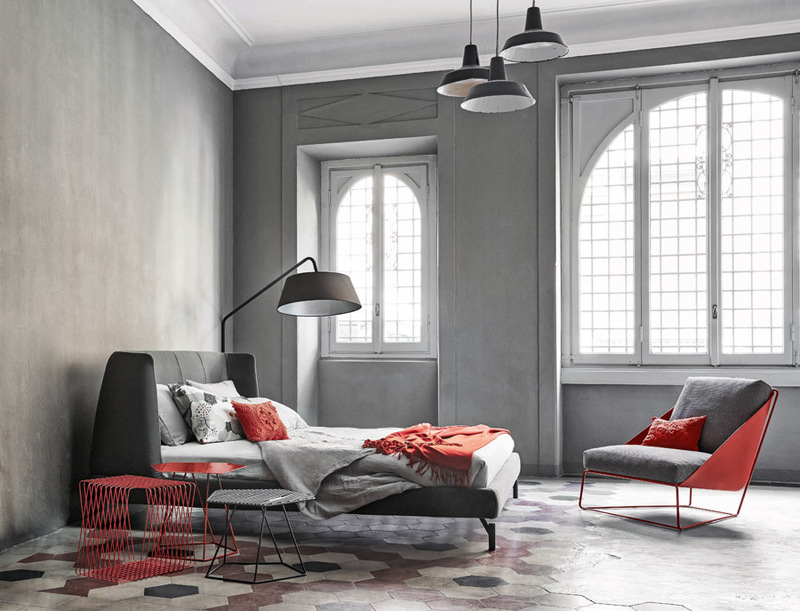 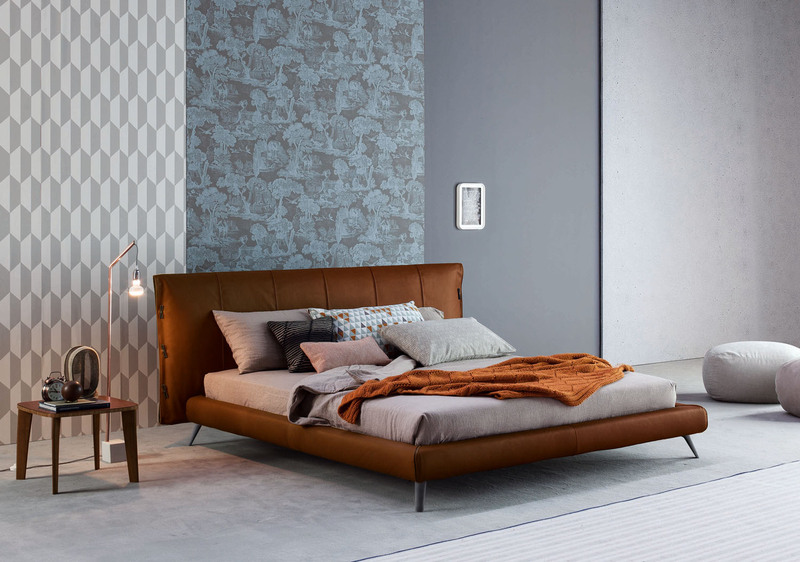 The headboard and the bed-frame have the same slanting design, creating a volume which houses and incorporates the mattress, and produces a continuous aesthetic line. 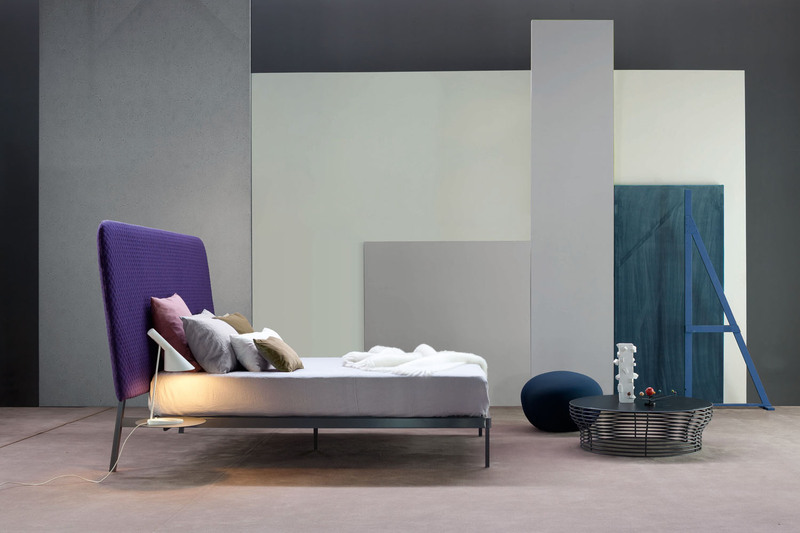 The base can be further customised by means of a chrome tubular support or with a removable fabric skirt, for a lighter and more dynamic effect, and it can even house a storage compartment.